Let's face it. In this country, New York is hands down the epicenter of culture and the arts. I might be biased because I grew up in New York, but when it comes to the arts, and especially when it comes to museums, other cities can't compete with what New York has to offer. 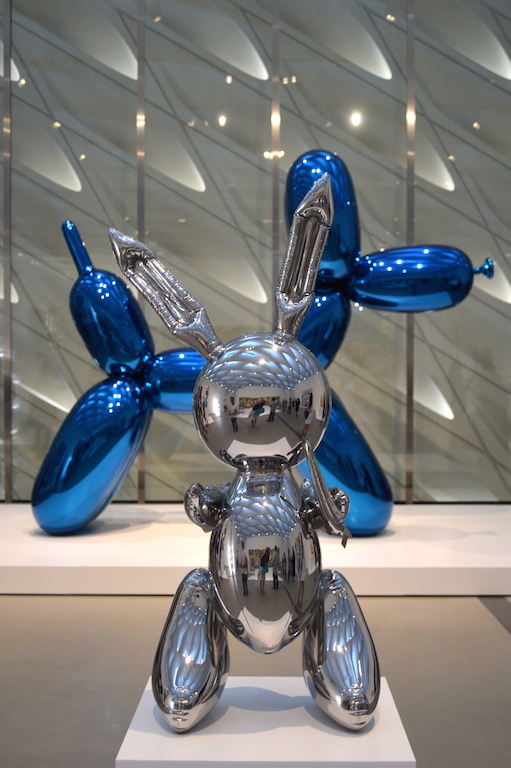 However, Los Angeles is making a valiant effort to compete thanks to its burgeoning arts scene that now includes the newly opened Broad Museum in Downtown Los Angeles. Last weekend I was able to step inside the museum to take a gander at the many works of contemporary art held inside its walls. 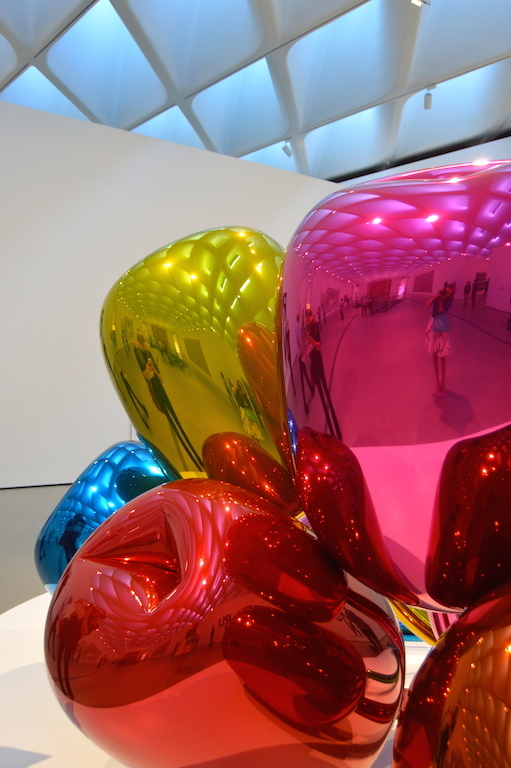 The Broad museum houses the art collection of entrepreneur and philanthropist Eli Broad. In building the museum, Broad is not unlike the pharaohs of ancient Egypt who built the pyramids in order to ensure their immortality. The only difference is that unlike the artifacts stored within the tombs of the Pyramids, which the Pharaohs had hoped to bring with them to the after life, the collection that is stored within the walls of the Broad is intended to be shared with the public. The only caveat is that there is a wait list. A long wait list. Although the museum is free to the public, due to the demand, you can't just waltz in without a reservation. These reservations need to be made months in advance. Luckily, I secured my tickets in September and was finally able to step foot inside of the museum this November. 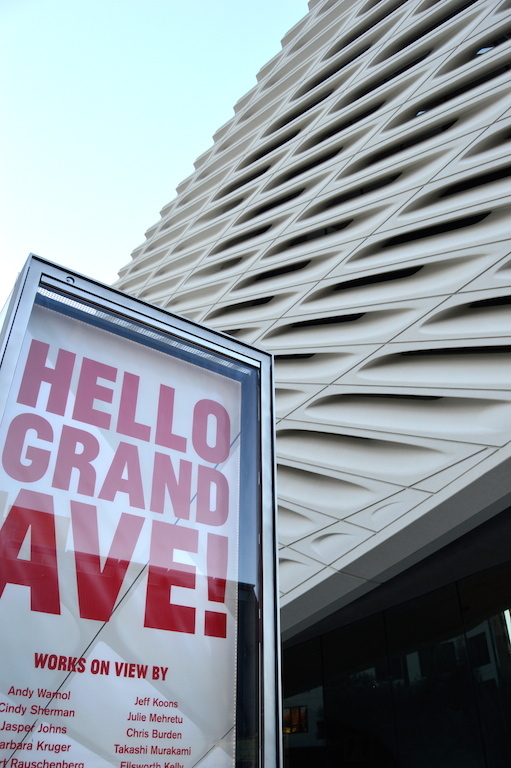 As you can see from the artists listed on the sign above, Eli Broad's collection features the crème de la crème of artists from the postwar era. The museum, which is only three floors, is largely arranged in chronological order. 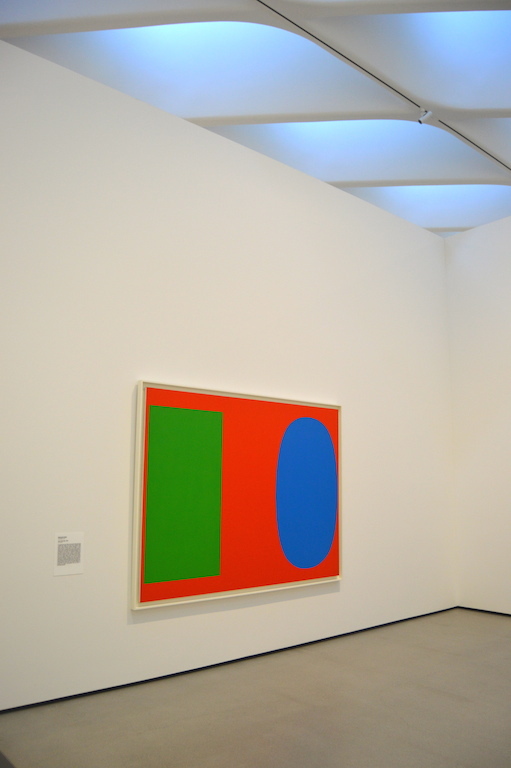 The docents suggest that patrons start on the third floor in the galleries containing the works by Robert Rauschenberg, Jasper Johns and then Andy Warhol, which is exactly what my husband and I did. As you move through the rest of the galleries, the next several decades of art unravel before your eyes, offering some delightful surprises as well as favorites that most people, or at least those with some working knowledge of contemporary art, will be familiar with. Since photography is welcomed in The Broad, I took quite a few pictures. The one thing I will have to say about the museum is that it's turned into sort of a magnet for people taking all sorts of selfies or shots of their friends and family next to the art. It's not that I necessarily mind people taking pictures of themselves (after all, I do it myself all the time!) but it does kind of create an awkward situation with people tripping all over one another trying to get the perfect shot for their Instagram account. Instead of taking pictures of myself, I focused more on some of my favorite pieces in the collection that you see below. Just a side note: I highlighted this piece of the Takashi Murakami mural because it reminded me of my dog, William. Although the dog is clearly not an English Springer Spaniel, the crazed look in its eyes is totally reminiscent of the breed sometimes! 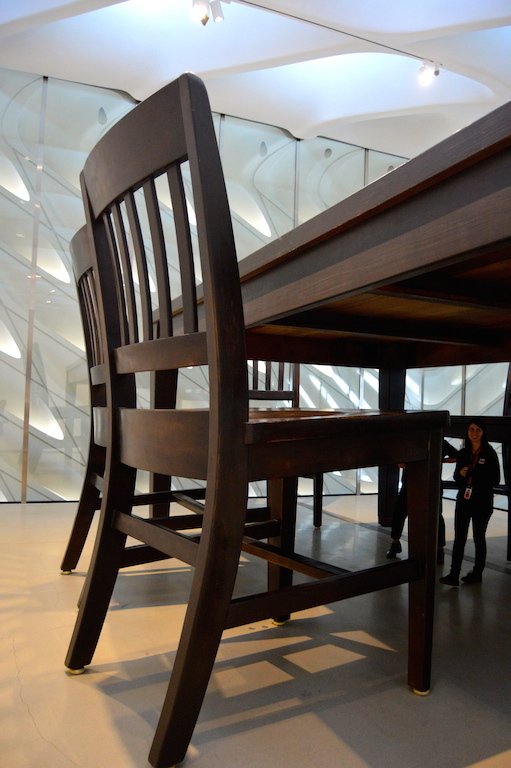 I hope you enjoyed taking a stroll with me through The Broad Museum. 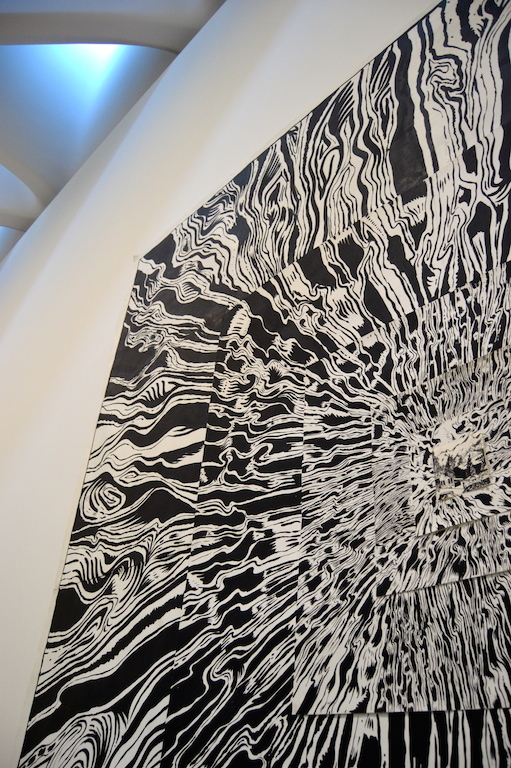 In my opinion, no picture can really do justice to the experience of walking through a museum and seeing things with your own eyes, but for those of you who don't live in the area or who just don't want to wait for tickets, this gives you just a little taste of what there is to see at The Broad. 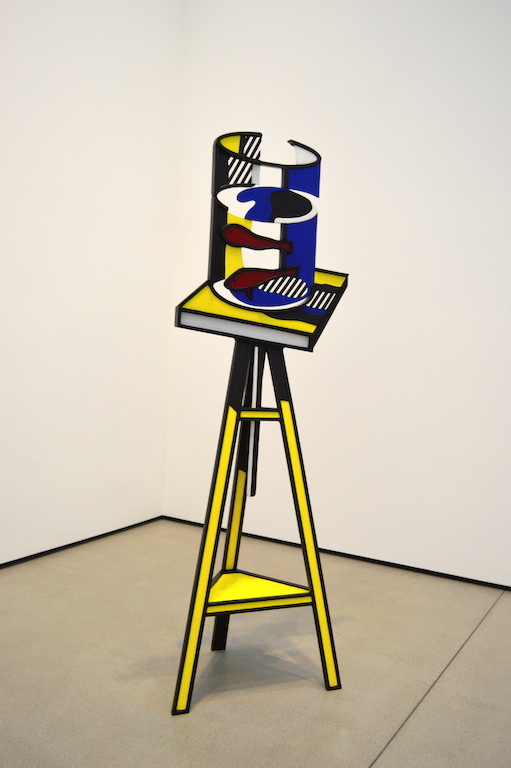 Contemporary Art might not be everyone's cup of tea, but regardless, it's provocative, colorful, fun, and a little thought provoking too, so what's not to love? I loved visiting via your photos! I'm glad you wrote that reservations are required. I need to make note for next time I know I will be visiting LA because I don't want to miss this. I went there a couple weeks ago - it's really cool! I think my favorite was the large table...haha.